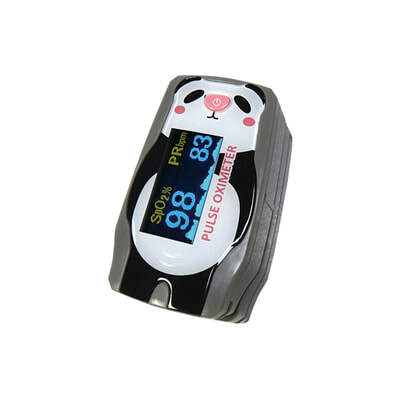 OLED Finger Pulse Oximeter - Aurum Biomedical Technology, Inc.
One-button operation shows your blood oxygen saturation (SpO2), pulse rate and pulse strength. 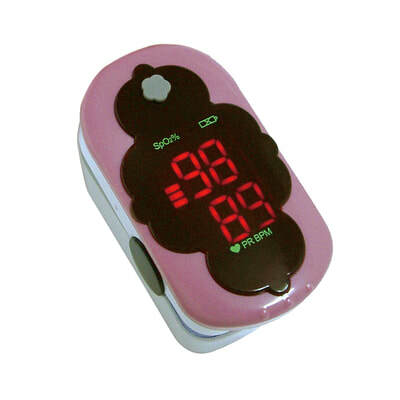 It’s a SpO2 diagnostic device suitable for clinic and homecare. 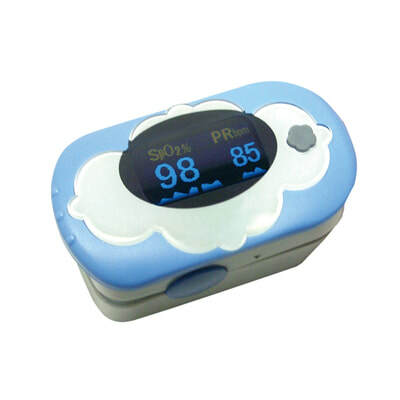 Fingertip pulse oximeter is a portable non-invasive device intended for spot-checking of oxygen saturation of arterial hemoglobin (SpO2) and pulse rate of pediatric patients in hospitals and hospital-type facilities. It can be used before or after doing sports, but not recommended while doing sports. Display SpO2, pulse rate, pulse bar, pulse waveform. Comes with a neck/wrist strap and case for use on the move. Intended use for spot check of pulse rates and blood oxygen saturation level at home, in sport use, such as mountain climbing, high-altitude activities and running.